Hubris was a word I learned in high school. If I remember correctly, it was in an English class when we were discussing Icarus and how he flew too close to the sun. Hubris was a word that popped-up again in my head when I saw James Cameron’s Titanic for the first time and the people who built the boat were bragging about how even God couldn’t sink it. My brain reminded me about the word again, telling me that it was appropriate for Apple’s current situation involving the Maps app introduced with the iPhone 5 and the iOS 6. For all those doomsayers saying that this is a sign of Apple’s demise, remember that Apple has been through worse and they’ve proven time and time again that they are indeed capable of delivering truly amazing things. Whatever the reason was for the Maps app to not perform well when it was launched with the iPhone 5 and iOS 6, I have no doubt that Apple’s already hard at work to address it and make sure they don’t find themselves in the same embarrassing situation next time. Who knows? 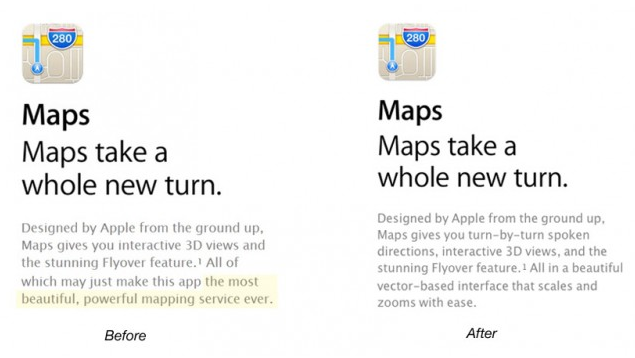 They may even get to call Maps “the most beautiful, powerful mapping service ever” again. 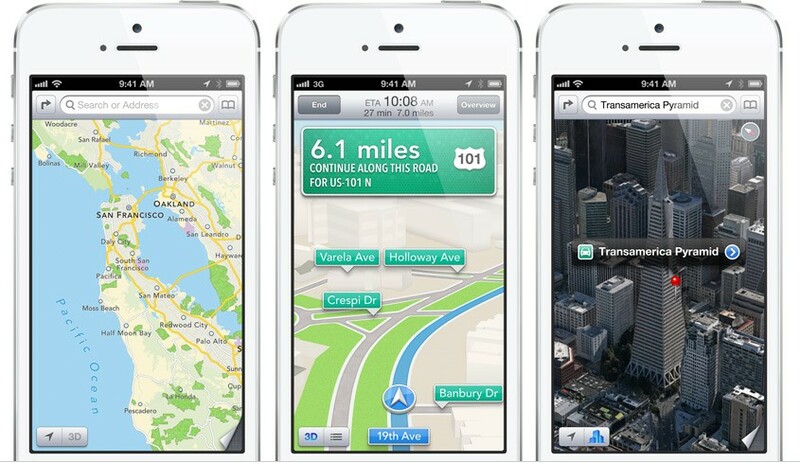 Do you think Apple should have delayed the release of their Maps apps instead of including it with the iPhone 5 and iOS 6? Share your thoughts in the comments below!